Having recently become a part-time resident of NYC ‘s Upper West Side—so recently, I don’t even know if it’s correct to capitalize those words—it has become my personal quest to zero in on what this neighborhood has to offer in the way of food. In contrast to L.A., where the challenge is driving 20 minutes to get edible takeout, there are 2 or 3 food-to-go opps on every block here, the only only challenge being to figure out your favorites. 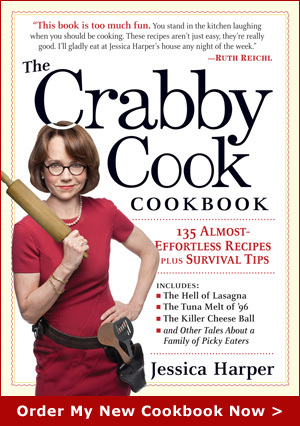 In other words, it’s a crabby cook’s heaven. 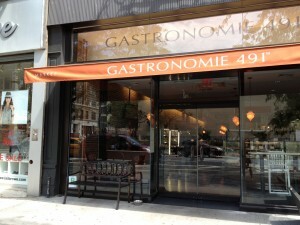 High on my list at the moment is Gastronomie 491. 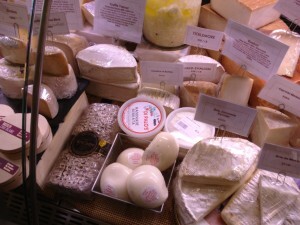 Located at 491 Columbus Ave., it’s a café and market, where I’ve sampled Panini and salads—thumbs up—as well as cheese, produce and pastry. The cheese people appear to have studied the subject in college, and are generous with their knowledge. So far they’ve introduced to Monte Enebro, Humboldt Fog and my new best friend, Truffle Tremor. 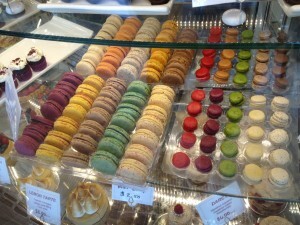 So if you’re staggering around the UWS seeking to raise your blood sugar, or if you’re just a crabby cook trying to avoid making dinner, check out Gastronomie 491. This entry was posted on Friday, July 27th, 2012 at 1:31 pm	and is filed under Cool Products. You can follow any responses to this entry through the RSS 2.0 feed. You can leave a response, or trackback from your own site.